28th November 1757, 28 Broad Street, Golden Square, Soho, London, England. William Blake was the second of five children. Son of James, a hosier, and Catherine. Taught by his mother. In turn he taught his own sister and then his wife. Thought to have attended Henry Par’s drawing school in the Strand, London at the age of ten. 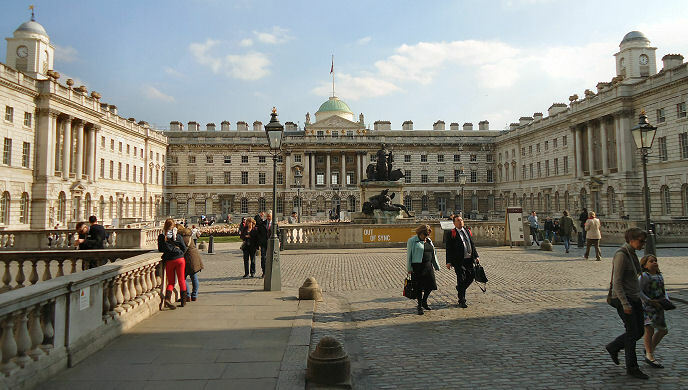 Royal Academy Schools, London. 1767: Birth of his favourite brother, Robert on 4th August. It was around this time that he had his first vision of angels sitting in the trees as he walked across Peckham Rye. He entered Henry Pars drawing school at 101 The Strand. 1769: William Blake began writing poems at the age of twelve. 1772: Apprenticed to the engraver James Basire in Great Queen Street, Lincoln’s Inn Fields, London on 4th August. 1774: Blake was sent by Basire to make drawings of the old buildings such as Westminster Abbey. 1779: He was admitted to the Royal Academy Schools on 8th October (then located at Somerset House) as an engraver. 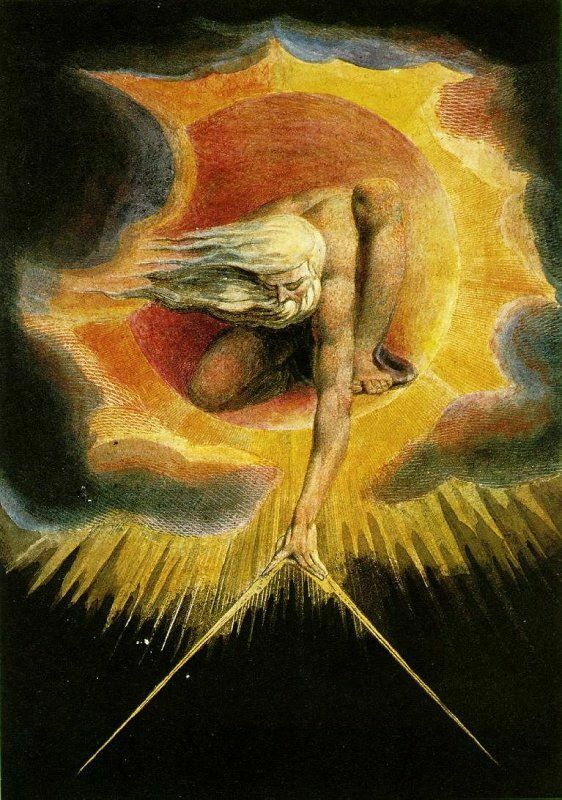 1780: William Blake exhibits for the first time at the Royal Academy of Arts. (6th June) Gets caught up in the mob liberating Newgate Prison during the Gordon Riots and is “borne aloft by the crowd”. Begins a series of engravings for the radical commercial publisher Joseph Johnson. 1782: Blake’s brother Robert is also admitted to the Royal Academy Schools as an engraver. Blake moves in with his wife at 23 Green street, Leicester Fields, London, not far from Sir Joshua Reynolds. (The President of the Royal Academy). 1783: Receives finance from John Flaxman and the Revd A.S. Mathew for the printing of “Poetical Sketches” although the work is not published. 1784: William Blake’s father dies and is buried on the 4th July. Blake sets up a print shop with a former colleague at Basire’s although only two prints are published before the partnership dissolves. 1785: He exhibits four works at the Royal Academy during May. 1787: He looks after his youngest brother Robert during the final weeks before he dies of consumption. 1788: Produces first works using his method of relied-etched illuminated printing which idea he said came to him with a vision of his dead brother Robert. 1790: Blake moves to 13 Hercules Buildings, Lambeth. 1791: The first part of his “The French Revolution” is printed for Johnson but the whole project is quickly abandoned due to the political climate. Completes engravings for Mary Wollstonecraft’s book “Original Stories from Real Life. 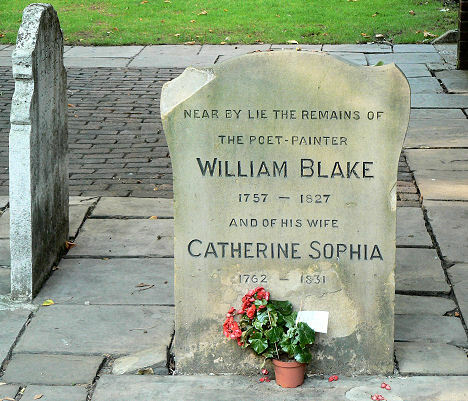 1792: Death of William Blake’s mother. 1793: His prospectus of engravings and illuminated books for sale is published on 10th October. 1795: William Blake designs and produces his first large colour prints. Commissioned to illustrate Edward Young’s “Night Thoughts”. 1796: Illustrates George Cumberland’s “Thoughts on Outline”. 1797: Blake was commissioned by Flaxman to illustrate Thomas Gray’s “Poems” for his wife. 1799: First work for Thomas Butts who was to become his most frequent and crucial patrons. 1800: He moves to a cottage at Felpham, near Bognor Regis in West Sussex on 18th September. 1802: The first series of Ballads by Hayley are designed and engraved by Blake with fourteen of his drawings. 1803: William Blake throws a soldier called John Scholfield out of his garden and is reported to have cursed the name of King George the Third and is arrested for sedition. 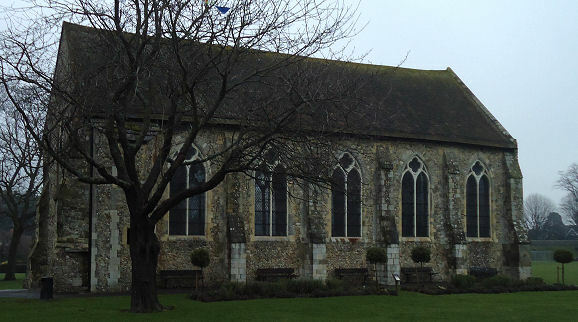 1804: In January William Blake is acquitted at the sedition trial in Chichester which is held in the Guildhall. He decides to move back to London afterwards and takes up residence at 17 South Molton Street, near Oxford Street. 1807: Portrait of William Blake by Thomas Phillips is exhibited at the Royal Academy. 1808: Produces illustrations to Milton’s “Paradise Lost”. Completes “A Vision of the Last Judgment” for a commission by the Countess of Egremont. 1809: Exhibition held of his own work at 28 Broad Street in the house of James, his brother during May. Described in “The Examiner” by Robert Hunt as “an unfortunate lunatic”. 1810: His exhibition is extended to June. Stodhard’s rival painting about Geoffrey Chaucer and the Canterbury pilgrims causes a breach in their friendship. 1812: William Blake exhibits four works as a member of the Associated Painters in Watercolour. 1815: In June Blake visits the Royal Academy to copy the cast of the Laocoon for Abraham Ree’s “Cylopedia”. 1816: Blake is included in “A Biographical Dictionary of the Living Authors of Great Britain and Ireland”. 1818: (June) Is introduced to John Linnell who becomes an important patron. (12th September) Linnell introduces him to John Constable. Is also introduced to Samuel Palmer and other artists who later form the group “The Ancients”. 1820: First copies of “Jerusalem” are produced. 1821: William Blake moves to No 3, Fountain Court, The Strand. 1823: Has his life mask taken by James Deville on 1st August. Linnell commissions illustrations to the “Book of Job”. 1824: Linnell commissions him to illustrate Dante’s “Divine Comedy”. 1827: Catherine becomes Linnell’s Housekeeper after the death of Blake. (1828): Catherine moves, as Frederick Tatham’s housekeeper, to 20 Lisson Grove. 18th August 1782 to Catherine Boucher, a poor illiterate girl and daughter of a market gardener, at St. Mary’s Church, Battersea. 12th August 1827, 3 Fountain Court. London, England. Bunhill Fields Burial Ground, City Road, Finsbury, London, England. Visitors place pennies on the headstone in a tradition which is said to be money to pay the ferryman across the River Styx to heaven. City Museum and Art Gallery. St. James Church, Piccadilly. (Baptised there). 28 Broad Street, Golden Square, Soho. (Lived there). 3 Fountain Court, The Strand. (Lived there). Felpham, near Bognor Regis. (Lived there). City Art Gallery and Museum, Glasgow.